The impact of massive waves that struck a cruise ship during a storm off New Zealand have been revealed by CCTV footage posted on the internet. Pacific Sun Cruise liner, carrying 1732 passengers and 671 crew, was caught in a severe storm on July 30, 2008, encountering seven-metre swells and 50 knot winds. Passengers who were aboard the journey were offered a 25 percent reduction in the cost of a future cruise. 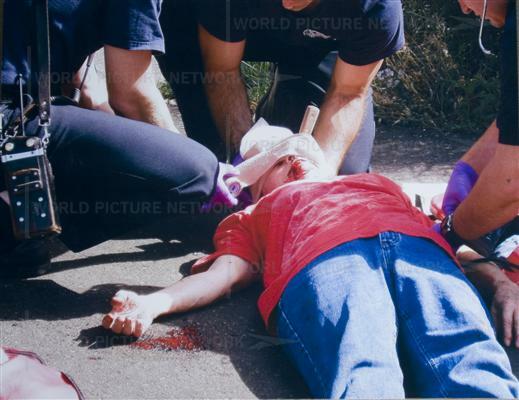 Mary was gardening on Tuesday, August 16, 2005 and tripped and accidentally got a 9 inch kitchen knife stuck in her eye, in Battle Ground, Washington. She had 108 x-rays over an 18 hour period and was then operated on. After returning home Mary had to relearn how to spell and drive. Picture taken by neighbor. 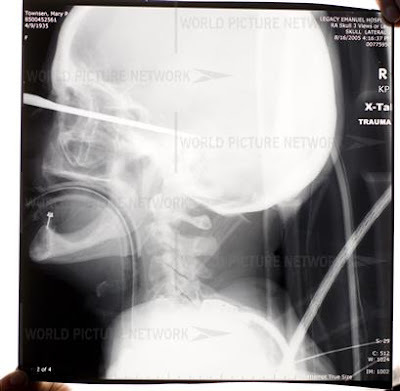 X-rays from Legacy Emanuel Hospital taken of Mary Townsen on Tuesday, August 16, 2005. 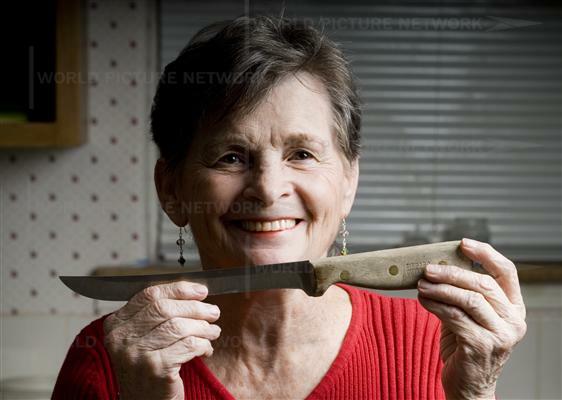 On Tuesday, March 4, 2008 Mary Townsen, 72, poses at her home with a kitchen knife from the same set as her accident, this knife is one inch longer, in Battle Ground, WA.